The Push Sports Thumb Brace stabilizes and protects the middle thumb joint (MCP joint) with an adjustable strapping system. This streamlined and durable brace offers effective support for ligament injuries to the thumb MP joint, Skier’s thumb, RCL injury, Gamekeeper’s thumb, sprain or strain of thumb, thumb instability or persistent pain due to overstretching. 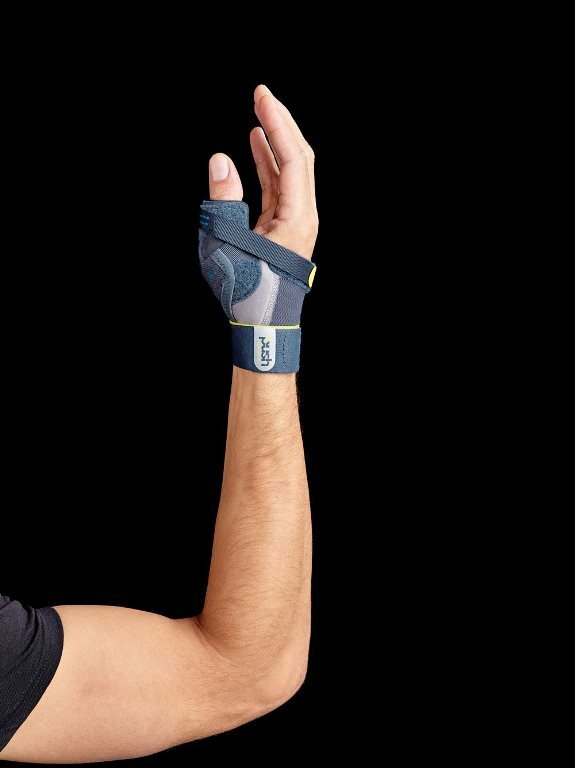 The Push Sports Thumb Brace has a unique strapping system that provides secure positioning and movement restriction of the middle thumb joint, while allowing full movement of the other thumb and wrist joints. A contoured padded shell protects the thumb from outside impact. Coverage of the palm is minimal, to optimize hand function during sports activities. 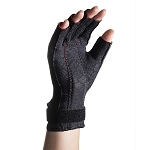 The low profile design is easily worn under a glove, and the brace can be applied with one hand. The Push Sports Thumb Brace is indicated after overstretching or dislocation of the middle thumb joint. The Push Sports Thumb Brace is made of high quality materials that provide breathability and durability. 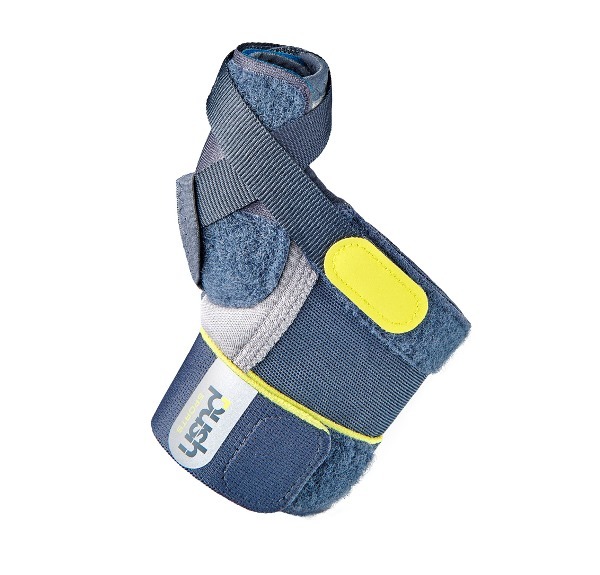 The brace is machine washable on gentle at low temperature. 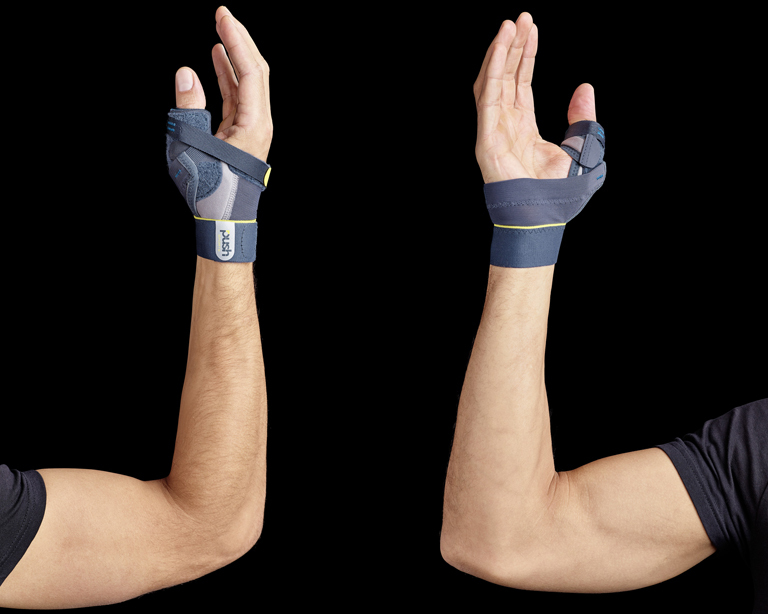 The Push Sports Thumb Brace is available in 3 sizes for both the left and right hand. To determine the correct size, measure around the middle of the hand, beneath the knuckles, and choose the appropriate size: Size 1 fits 6-1/4 to 7-1/2 inches, Size 2 fits 7-1/2 to 8-7/8 inches, Size 3 fits 8-7/8 to 10-1/4 inches. 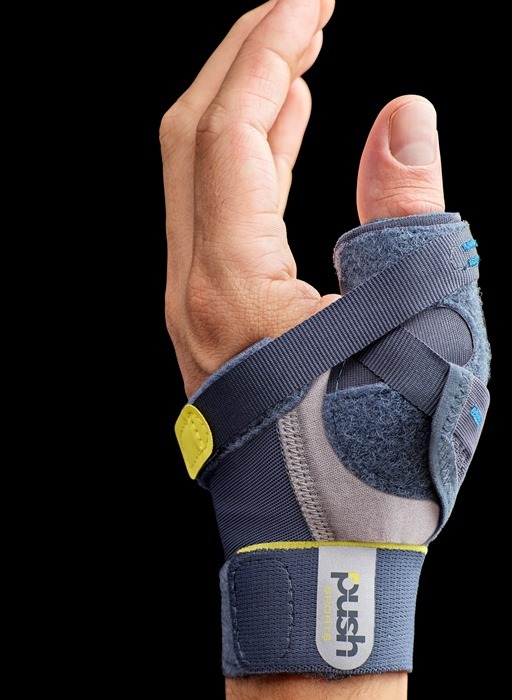 The Push Sports Thumb Brace provides effective relief from overstretching or sprain of the thumb, from the makers of the Push MetaGrip, proven support for the thumb CMC osteoarthritis. A: The Push Sports Thumb Brace is universal to men and women. 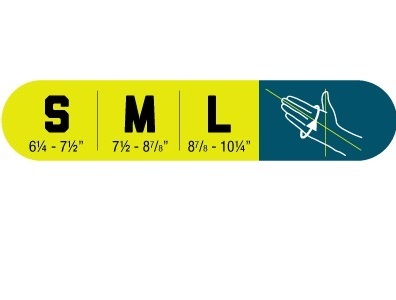 To determine the correct size, measure around the middle of the hand, beneath the knuckles, and choose the appropriate size: Size 1 fits 6-1/4 to 7-1/2 inches. Size 2 fits 7-1/2 to 8-7/8 inches. Size 3 fits 8-7/8 to 10-1/4 inches.